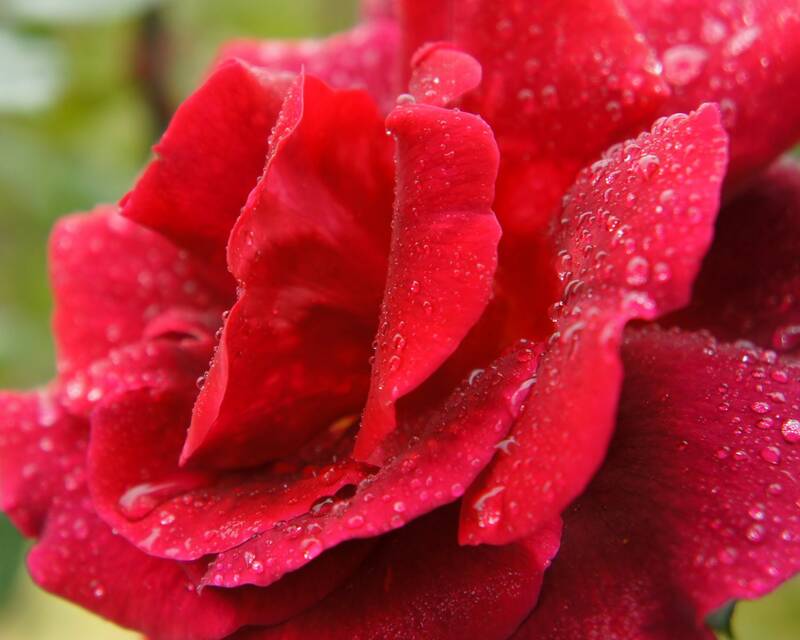 Liberty Bell rose is one of the best compact , continuously blooming red roses in our gardens at the farm and nursery. 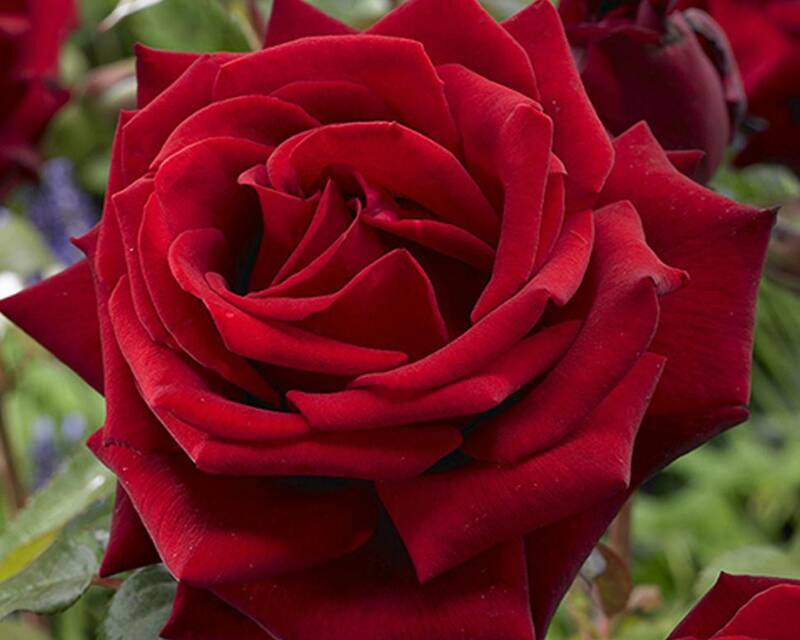 Perfectly shaped blooms and deep red velvet with white reverse and occasional white accents near the center of the rose. What this rose lacks in fragrance it makes up for in superior vase life and flowers that do not fade, even in the heat of the summer. Liberty Bell is a mini-flora rose that grows to a very nice compact size of 3 feet high and as wide. Semi-glossy foliage is dark green and resists black spot and mildew. 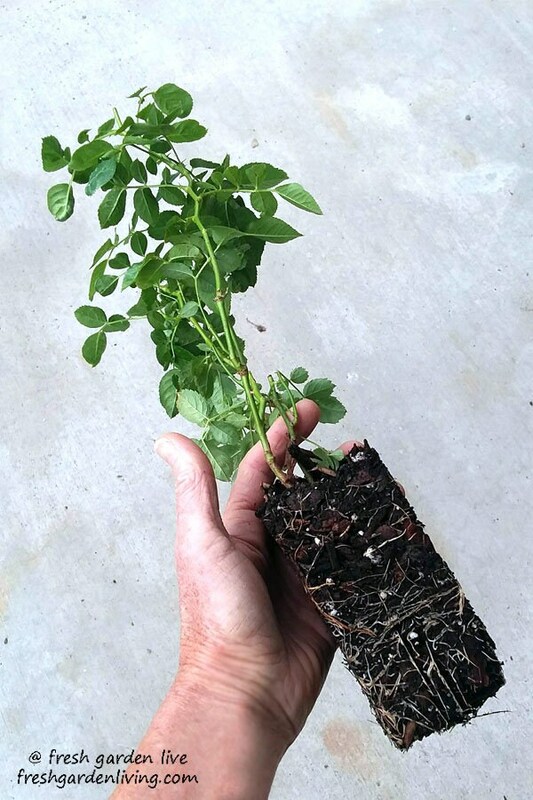 Our healthy roses are ready to be planted in your garden upon arrival. 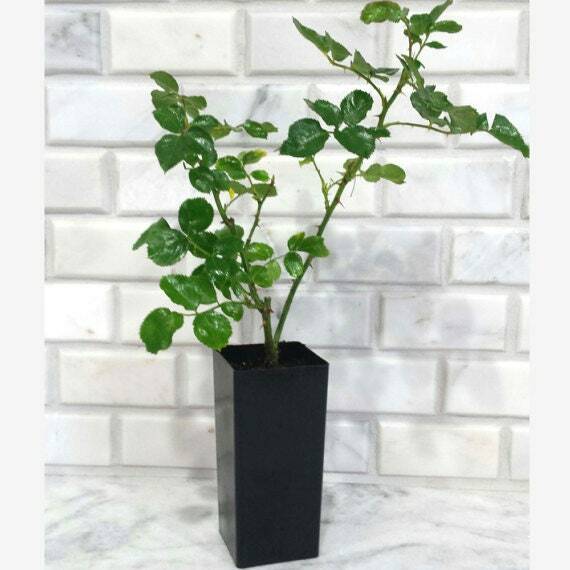 Plant Liberty Bell rose in the garden or the patio container! Grown organically at our licensed farm and plant nursery in Oregon, this is an ideal rose to crystallize and use in desserts. My roses came in good condition. Thank you! Expertly packaged and very fast shipping.